There have been many changes to this magazine since its premier edition on March 27, 1992. 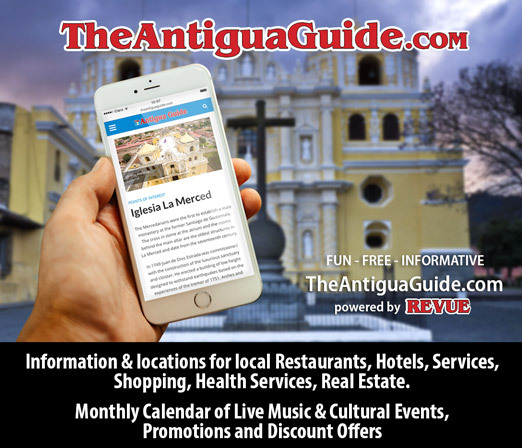 The evolution from The Antigua Classifieds to The Classifieds Revue and finally simply the Revue magazine coincided with upgrades in paper quality as color was added, first with spot color, then full color. In the beginning the publication ran weekly, then bi-weekly and then monthly. With the introduction of the internet, the Revue website was born (www.REVUE.gt) where readers can peruse the magazine, page by page; DateBook calendars are posted; past editions are archived; there is a Business Directory; a selection of Map References; the Revue Photo Gallery and much more! Next came a thriving Revue Facebook page (www.facebook.com/revuemagazine) with daily postings, updates and highlights of events you may have missed. This month, as we begin our 22nd year of publishing, we are introducing yet another transition—a new layout! 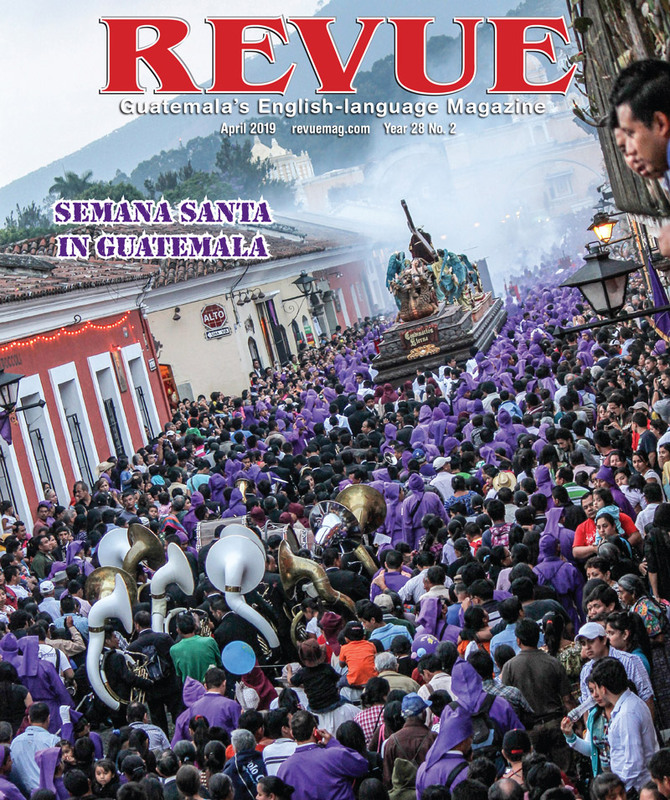 We hope you will enjoy the new format, bigger yet still portable, packed with articles, quotes, information, photos and advertisers; some have been within the Revue pages almost since its inception. What hasn’t changed is our commitment and gratitude to our advertisers, readers, our fantastic staff and the many talented writers who have kept the magazine in circulation, growing and evolving these many years. We would like to hear any feedback you may have. 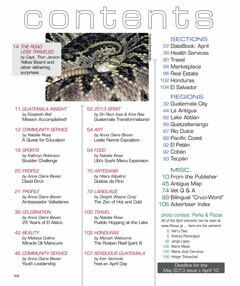 Thanks for reading this month’s edition, we hope you enjoy your stay in Guatemala whether it’s for a week or a lifetime.